Peace Ajibade, Klara Prela and Jonavelle Capitan who have been appointed as our Assistant Librarians for this academic year. The LRC is located on the 1st floor of the Heenan Wing. It is designed both to support students’ study and research and to provide a relaxing atmosphere to induce reading for pleasure. Opening hours are from 8.30am to 4.30pm. Year 7 students attend a weekly library lesson and Years 8 & 9 attend fortnightly as one of their weekly English lessons. Other subject leaders bring their students in for research throughout the year. To ensure students have access to academic and reliable internet research the library subscribes to various academic online databases eg JSC, EBSCO, Philip Allan, Carel Press, Independence and ‘TheDay’ which are available 24 hours, 365 days wherever there is internet access. In addition there is a Reference section, a Careers library, magazines and academic journals. There is access to computers, laptops, a printer and a photocopier. 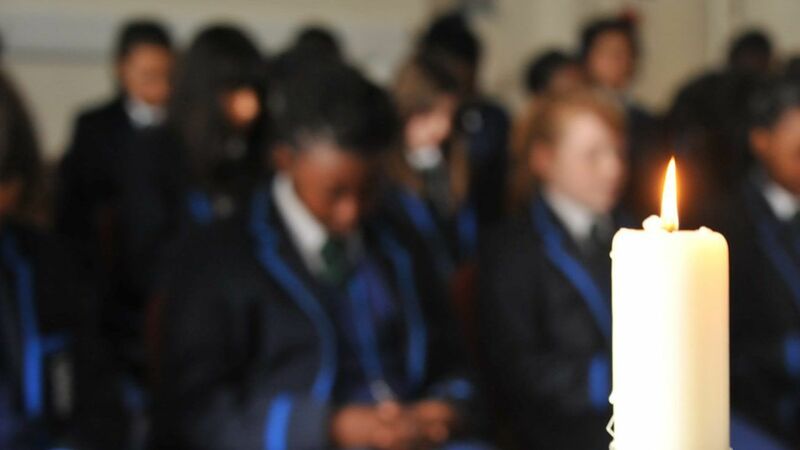 Throughout the year students participate in various events including Book Buzz, Readathon, Redbridge Book Awards, Carnegie Book Awards and various inhouse competitions. The Homework club is available every afternoon for students who wish to conduct independent research or complete their assignments in a quiet and studious atmosphere. The librarian is supported by a team of Sixth Form students who not only fulfil ‘Serviam’ but also gain useful skills for either university or work. Suggestions for new resources or improvements are welcome.